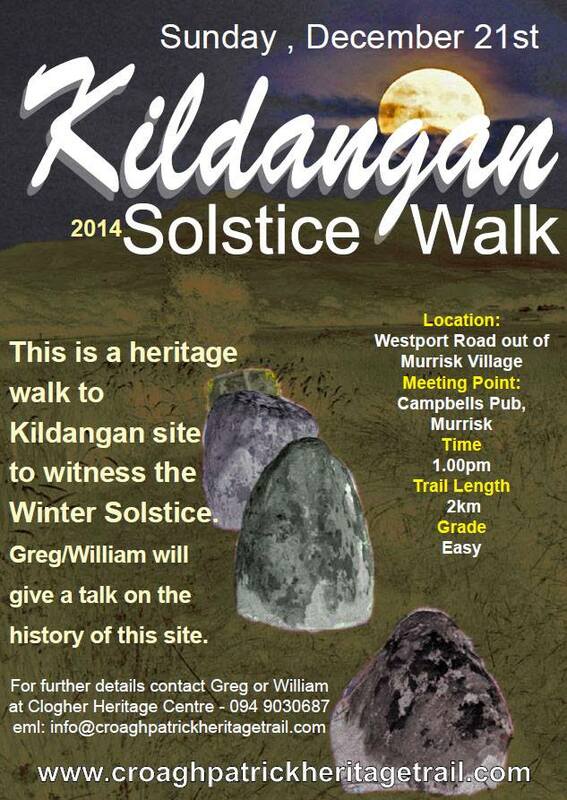 The Croagh Patrick Heritage Trail Committee are organising this walk to celebrate the Winter Solstice at Kildangan near the village of Murrisk (Westport) on Sunday 21st December. There is a Bronze Age stone row which aligns with a niche in Croagh Patrick at approximately 1.40 pm on the Winter Solstice. Please come along and witness this amazing phenomenon. There will be a guided walk from Campbell's Pub and a talk by our guides.